It's been awhile since I have posted but I am back! I was busy working on a secret project collaborating on a lookbook with a company the past couple weeks. I was so focused on shooting photos for the project I didn't have time to shoot any other photos. I can't wait to show you all the looks when the lookbook unveil (very soon)! On a different note, it is October right? Why is it so warm? I took advantage of it and wore this showstopping piece gifted to me from Finders Keepers. This duster is absolutely gorgeous with its black and cream chevron print and silky flowy silhouette. Often times clothes with a maxi cut are too lengthy for me but this one fits like a dream! I paired it with a simple lace crop top, an amazing pair of plum-burgundy snake print cut offs, and these angular shades that I can't seem to stop wearing! 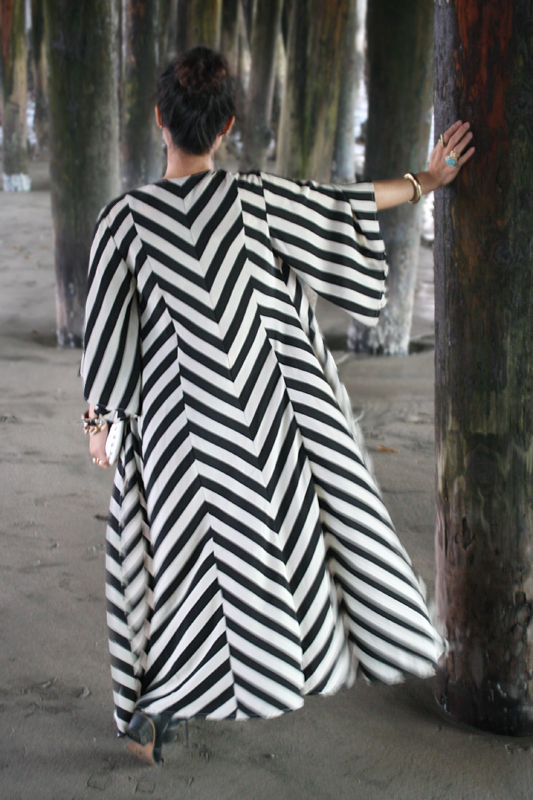 Chevron stripes duster c/o Finders Keepers. Lace crop top by Solemio from my work Sway. High waisted snake print denim cut offs by BDG from Urban Outfitters. Black booties by Breckelle's from my work Sway. Love that kimono ! it looks super on you. Cutie-patootie.